What would you lose if your iPhone went missing? For me, it would be hundreds of photos and videos. But I don’t have to worry because they’re all backed up. A few weeks ago, I started using the SanDisk iXpand Base, which backs up your phone while it charges. I already plug my phone in to charge every night, so backing up has become a daily habit – without having to form a new one. When you unbox the iXpand Base, you plug it into power and then plug a lightning cable into the base. Cord management is built-in, so all you need to do wrap the cord around the base and the rubberized top hides it. 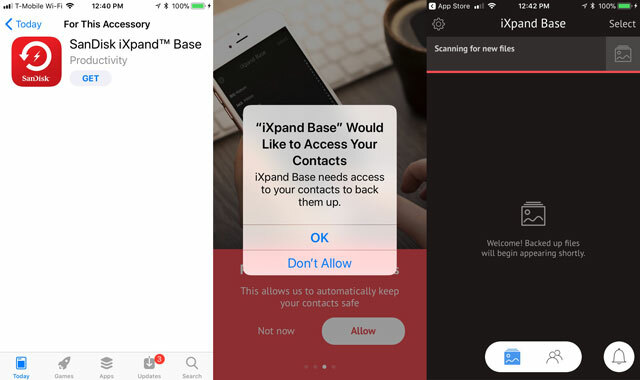 The first time you plug your phone into the iXpand Base, you’re prompted to download the SanDisk iXpand Base app. Once it’s downloaded, you’ll allow the app to access your photos and contacts and then it will start the first backup. With a few thousand photos and videos on my phone (17.5GB), it took about 30 minutes. Subsequent backups have been well under than a minute, since only new items are backed up. 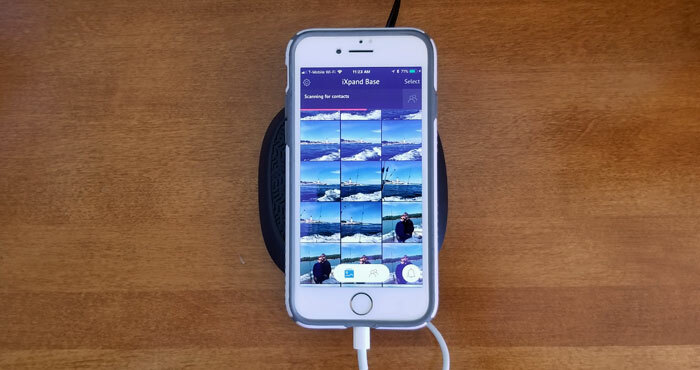 Once you’ve backed up your photos and videos, you can view them in the app – as long as you’re plugged into the base. From there you can also share them as you can from the Photos app. If you’re running out of room on your phone, you can choose to delete backed-up content from your phone. 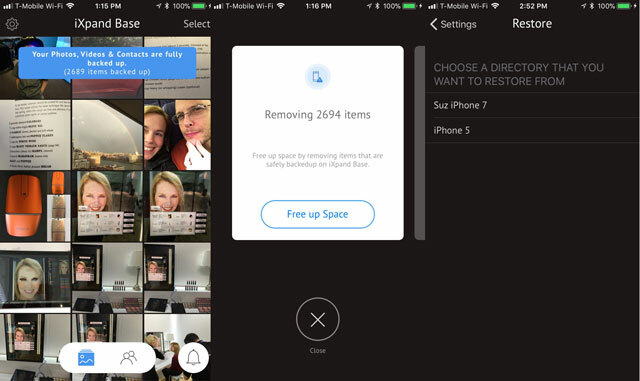 If there are photos that you want to remain on your phone, you can selectively restore them. The iXpand Base is MiFi certified, so you can be confident that it meets Apple’s charging standards. And, it has 15 watts of power, so it will charge your phone quickly. Your computer will recognize the card as a drive on your computer and when you open the drive you’ll see folders for each device. Within each device profile folder, there will be folders for contacts, photos and videos. From there you can copy the files to your computer and transfer files from your computer to the SD card. When you get a new phone, install the iXpand Base app and select your phone backup. From there, you can choose to restore everything or select the ones you want on your new device. And, you can restore from content stored in any profile stored on the base. The SanDisk iXpand Base is available at SanDisk.com, Amazon, BestBuy.com, B&H Photo Video.com, and other major retailers, with MSRPs of 32GB/$49.99, 64GB/$99.99, 128GB/$129.99 and 256GB/$199.99. Is there one of these for Androids? Perhaps SanDisk will be coming out with something similar for Android, but the iXpand Base is only for iPhones.